The Paw Hide has 7 treat chambers that challenge your dog to life each cup in order to reveal its price. 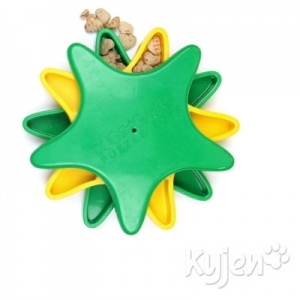 This toy is perfect for teaching the basics of eat-on-command obedience and problem solving. Measures 10" x 10" x 3.5".